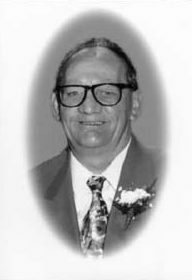 Born in Portage la Prairie, Cartman made a significant contribution to the newspaper industry and sport in Portage la Prairie and surrounding districts for close to 60 years. As a sport reporter, he supported hockey at all levels. He loved the Portage Terriers Junior Hockey Club which he followed, wrote about and supported for more than 35 years. He did more than write about hockey, he was actively involved as a coach and administrator. Cartman received a Life Membership in the Portage Minor Hockey Association and was named Sportsman of the Year in Portage la Prairie in 1992. He was named posthumously to the Media Roll of Honour by the Manitoba Sportswriters and Sportscasters Association in 2006.